The PF government has announced the introduction of a 30ngwee a day tariff to be slapped on internet based phone calls. 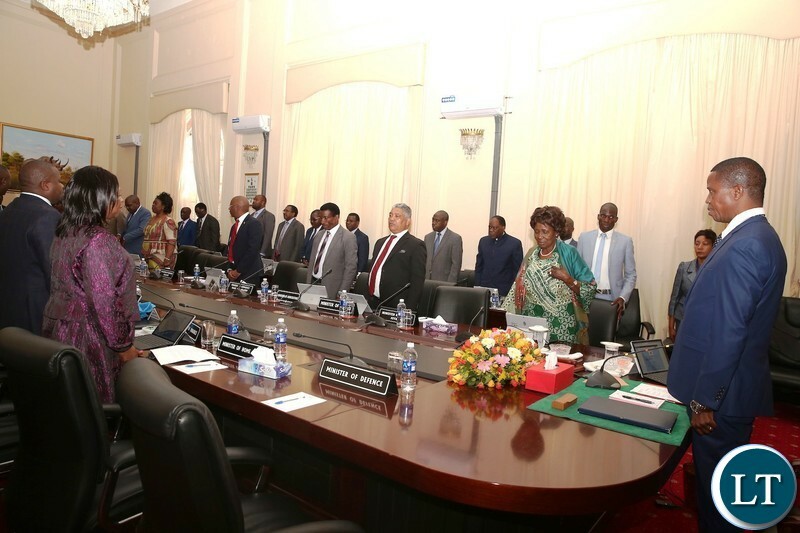 This decision was taken at today’s 12th Cabinet Meeting held at State House chaired by President Edgar Lungu. According to Chief Government Spokesperson Dora Siliya, Government has noted an increase in the use of internet phone calls at the expense of traditional phone calls. Ms Siliya said the use of internet phone calls threatens the telecommunications industry and jobs in companies such as Zamtel, Airtel and MTN. And Cabinet has also approved in principle, the introduction of the Cyber Security and Cyber Crimes Bill that will repeal and replace certain parts, clauses and sections contained in the Electronic Communications and Transactions Act No. 21 of 2009. Ms. Siliya said the Bill will promote an increased cybersecurity posture, facilitate intelligence gathering, investigation, prosecution and judicial processes in respect of preventing and addressing cybercrimes, cyber terrorism and cyber warfare against the sovereign Republic of Zambia. Below is a full statement issued by Ms. Siliya. At the 12th Cabinet Meeting held today at State House, chaired by His Excellency the President Mr. Edgar Chagwa Lungu three (3) substantive Items were discussed as the Patriotic Front Government continues to provide its policy direction aimed at improving the general living standards of the people through improved service delivery. Government has noted an increase in the use of internet phone calls at the expense of traditional phone calls. This development threatens the telecommunications industry and jobs in companies such as Zamtel, Airtel and MTN. Government has, therefore, introduced a 30 Ngwee a day tariff on internet phone calls. Cabinet has since approved the issuance of a Statutory Instrument (SI) that will facilitate the introduction of the tariff to be charged through mobile phone operators and internet providers. Research shows that 80 per cent of the citizens are using WhatsApp, skype, and Viber to make phone calls. (c) amend provisions related to finance and corporate governance, including the composition of the Board. This entails aligning the FRA financial year to the national budget cycle i.e. the financial year should start in January and end in December as opposed to the financial year beginning in March and ending in February. In addition, the financial provisions of the Act should be amended to allow the FRA retain a proportion of the revenue generated from the sale of designated commodities. Further, provisions related to the composition of the Board should be amended to reflect the changes in the Ministries i.e. to include provisions for participation from the Ministry of Fisheries and Livestock. At its creation in 1996, FRA inherited various Government owned storage facilities comprising grain sheds, silos and hard standing slabs some of which are dilapidated and require rehabilitation. The Agency has been performing the task of buying produce from farmers every marketing season beginning 1996 to date. It is in the interest of Government to ensure that FRA is more sustainable in the implementation of its programmes and activities and reduce pressure on the Treasury financially so that some of the resources are targeted towards other needy areas. Cabinet further approved in principle, the introduction of the Cyber Security and Cyber Crimes Bill that will repeal and replace certain parts, clauses and sections contained in the Electronic Communications and Transactions Act No. 21 of 2009. The Bill will promote an increased cybersecurity posture; facilitate intelligence gathering, investigation, prosecution and judicial processes in respect of preventing and addressing cybercrimes, cyber terrorism and cyber warfare against the sovereign Republic of Zambia. The Bill will authorise the taking of measures to ensure cyber security in Zambia, facilitate the establishment of the Zambia National Cyber Security Agency (ZNCSA) that will serve as the highest coordination centre for all matters related to cybersecurity at national and international levels. The Agency will facilitate the protection of Zambia’s critical infrastructure from cyber-attacks. Reality is dawning upon us that our national critical information infrastructure will always have some degree of vulnerability and requires a dedicated body to protect national interests. The Bill will also criminalise computer-based offences and network-related crime in line with the Penal Code of the Republic of Zambia. The Bill will further provide for investigation and collection of evidence for computer and network related crime and also provide for the admission of electronic evidence for such offences. The Act will adequately deal with various crimes committed using social media platform targeting different consumer groups in the country. Cabinet further directed the Minister of Finance to publish and disseminate the 2017 Annual Economic Report to the public. The key highlights in the 2017 Economic Report include an indication that the global economy continued to recover in 2017, with output estimated at 3.7 percent from 3.2 percent in 2016; preliminary estimates indicate that the domestic economy grew by 4.1 percent in 2017, compared to 3.8 percent in 2016; total revenue and grants amounted to K43.03 billion against a budget projection of K45.34 billion; in line with the lower revenues, expenditures were constrained in 2017 and were below target by 6.3 percent and the preliminary data indicates that the external debt stock at the end of December 2017 increased by 25.8 percent to US$8,738.95 million from US$6,947.1 million in 2016. The report further highlights policy issues that require attention such as double digit growth is imperative to create jobs and counter the high poverty levels; the need to expedite implementation of revenue enhancing measures such as automation of revenue collection processes; the need to reign in Government borrowing so that we bring the debt to moderate risk from high risk of distress and the need to hasten the policy, structural and legislative reform agenda. my question is what is the connection of taxing 30 ngwee and safeguarding jobs in those telecommunication companies, is that 30 ngwee going to the companies or governement. need to understand the connection here. This is a backward move to hinder progress and get stuck with fuc.ked up zamtel services. Good, charge them until they realize things are not good. So will the 30n protect jobs at Zamtel, Airtel and MTN??? and evolving technological initiatives. Please don’t let Zambians remain stuck or get bogged down with archaic and old telecommunication technology that will soon be consigned to the archives. And how much money do you expect to raise from this kind of tax after one year, and how do you plan to use it? But MTN, Zamtel and Airtel need competition not protection. They themselves have invaded the money transmission business and have given Zampost a tough time. GRZ hasn’t intervened to protect Zampost jobs. This is not a fair tax. Zampost is a product of PF mediocrity. They appointed chanda a guy with no managerial experience and lacking the understanding of postal operations. This guy in his 2 terms of being PMG has seen 4 appointments of Director of operations a key position. This is a serious anomaly. Currently Zampost has no Board of Directors his contract has run out but the government has been quite. The company lacks innovation period! By the way have you seen the auditor general’s damning report on Zampost? After paying tax when buying the data, again u r taxed to use the data. At the rate Visionless Lungu & PF00Lish govt is going, they’ll start taxing pipo for passing gas (f.arting) in order to raise money for eurobond. I cannot quite understand the logic. What govt is saying is that it is wrong for citizens to use WhatsApp, skype, and Viber to make phone calls but OK for foreigners to do so. Secondly, govt says it is wrong for citizens to use these services to make business and create jobs. According to govt, the only jobs worth protecting are Zamtel, Airtel and MTN jobs. Thirdly, after govt collects the 30 ngwee per day, and uses it, how does that help Zamtel, Airtel and MTN jobs? TECHNOLOGY IS ALWAYS A TWO-EDGED SWORD. IT WILL BRING IN MANY BENEFITS, BUT ALSO MANY DISASTERS – ALAN MOORE. How does the introduction of 30n stop people from using Skype, for instance, thereby serving Zamtel, MTN or Airtel? Technology will really drive you mad. I wonder why you did not take steps saving ZAMPOST against the use of email in ICT circles. Accept it, the advent of technology will crash your companies. Protectionist measures and behavour for paratastals will only exacerbate and stifle innovation and progressive ingenuity in the industry. If you charge me on data, whatever I use that bundle should be non of your business. but about how intolerant Vodiga Rungu and fellow PF bandits have grown allergic to criticism and any narrative that doesn’t praise their failures. Muzzle the independent media, strangle freedom of speech so they can steal with impunity and continue ravaging the national coffers beyond 2021. Opposition parties really need to gird their loins because this is going to be an up-hill marathon. It also smacks of desperation that comes from finally realizing that all that money they borrowed on very UNfavorable terms must invariably be paid back. So they are just passing the buck of their financial illiteracy on to the masses. OH HAPPY DAY ! ! ! ! But MTN ZamTel and all the other SP’s sale the data that we make VOI calls on. How are they not benefiting? Who conducted the research? These may be fake statistics. The aim is not to protect the telecom industry but to get more money from already over taxed citizens. Government seems to have no ideas of how to grow the economy and create tax opportunities from the economic growth. We are being taken for granted, let’s reject this unwarranted tax. We were cheated about TV levy and digital migration. Znbc is still not performing well and the industry has not improved. This is another scum. Our leaders are no longer inspiring us to ever trust them. Everything they do is for their survival and to maintain their luxury lives and us the citizens. Correction : everything they do is for their survival and to maintain their luxury lives and not anything for us citizens. Zamtel, MTN and Airtel facilitates the WhatsApp usage platforms by selling airtime which is converted into internet bundles. How are they disadvantaged? It is also not clear if the 30 ngwee will be charged daily even when one has not used the whatsApp messaging and calling facilities. Its doubtful that the three communication companies had input into this decision. Its all about raising money through taxes to pay nkongole. The reason attached to arriving at this decision is not selling. Also, are these not the same companies that provide internet services? Is it GRZ job to protect Zamtel, MTN etc? People in Zambia are just waking up. Please let people get informational. Your job is to build schools and provide quality education. Then you will get tax payers. I feel like committing suicide after reading this because your attitude is so retrogressive. Companies like Zamtel, MTN need to move with time and innovate. The reasons for this introduction are baseless…the Telecomms sector is innovative enough as it is; they are simply doing this to raise funds for their recklessness. NEXT TIME YOU VOTE, VOTE WISELY YOUR CIVIL LIBERTIES ARE AT STEAK. MAKE SURE YOU ARE SOBER FOR 48 HOURS BEFORE. NEXT IT WILL BE THE AIR WE BREATH. that want some free tasters please do not hesitate to contact me. You want to tax us now for using the internet. Me I will just use free WiFi which kilometres sampa will provide. These people are dumb…already tarriffs are the highest in the region! When people questioned the reckless borrowing by corrupt GRZ, they were lectured by the presdential spokesperson while drinking what wine. I wonder what is in his conscience. You can build as many tollgates and invent as many taxes as you like. The truth is, education is the key to creating a functional society. Every normal person saw this coming. You borrowed and spent recklessly while going around the country praising yourselves and threatening others. I believe Africans are a danger to themselves and I strongly question the value of our independence. I think Africans needed equal rights and not independence. I’m sure if the British were here today this country would be one of the most developed countries in Africa. I wonder what the dumb cadres will say about this…when they see their talk time/ bundles disappearing like ice in the oven!! If Zamtel, MTN and Airtel provide the data that enables these internet phone calls how does calling over the internet jeopardize jobs in the three companies? This is simply a gimmick to tax the citizen further. The country is falling apart at the seams. HH is right when he says the only options open to this government are either to impose more taxes or to print money. They take you Zambians for docile gullible foools…it defeats the whole purpose of internet calls. Its a tax on innovation…best way around it using dark net based internet call services. More money in there pockets. See how they splash goodies during bye elections.Bags of mealie meal and live chickens at rallies etc. They are kolopaling the zambian peoples pockets…God help us! Infintu ni Lungu indeed…I can imagine thesse empty tins brainstorming this in the cabinet meeting. How did we get here again???? Capitalising on docility of Zambians!! Social bloggers especially those of us who are objective and exercise our civic duty to hold the government of the day accountable, our days are numbered. The ground work has been set and as we will be approaching 2021 General elections it will be becoming more evident. Already some media platforms with myopic agenda are strategically making it difficult to comment issues of public concern. Look at our docile opposition not do anything. It is at this moment when the opposition would shine. Bring about a court injunction to block this. The Ugandans blocked this similar law when their government wanted to tax them for using online banking. I am waiting. Opposition is outnumbered in Parley…but still they watched it slip through as tgey were focused on their allowances. I really want citizens to rise against this government. I’m so tired of waiting that maybe someday you will wake up somehow and start thinking about how you are governing this country. Look at Kenya, Nigeria, Uganda, their tech startups are thriving while in Zambia all we announce are taxes on any innovations. F-U-C-K- E-C-L. Why in hell should you be a president if you have no idea how to govern and you cannot even manage to employ people smarter than you and listen to them. Look around, Namibia, Botswana all are doing better than our 54 year old ‘Zambia’. We have nothing to be proud of. Everyday , I see only missed opportunities. Man please leave. Its a tax on innovation..very retrogressive and lazy thinking! @12, You want citizens to rise against this Government? Sorry, it won’t work. The popularity ratio is against you. 6.5 to 3.5. This government is very popular, despite your negative campaigns. If this doesn’t go down well with you, you have the option of committing suicide like someone said here. Good luck. @sick and tired. Mbili Yakale is right. You cannot begin to imagine the following this government has. Anything and anyone against it is a Satanist and whatever else they will find to call you. The Christian nation thing is working very well. I just find it hilarious that taxi drivers, minibus drivers have religious pictures hung up and songs blasting out in their vehicles but will not hesitate to gong you. I diverse from the topic but…..
@Sick and tired:Only you tribal creatures camped in UPND would rise up and protest over 30 ngwee!! !Nothing is for free in life.Sometimes,you should just keep quiet if you have nothing to blame PF Govnt on!! 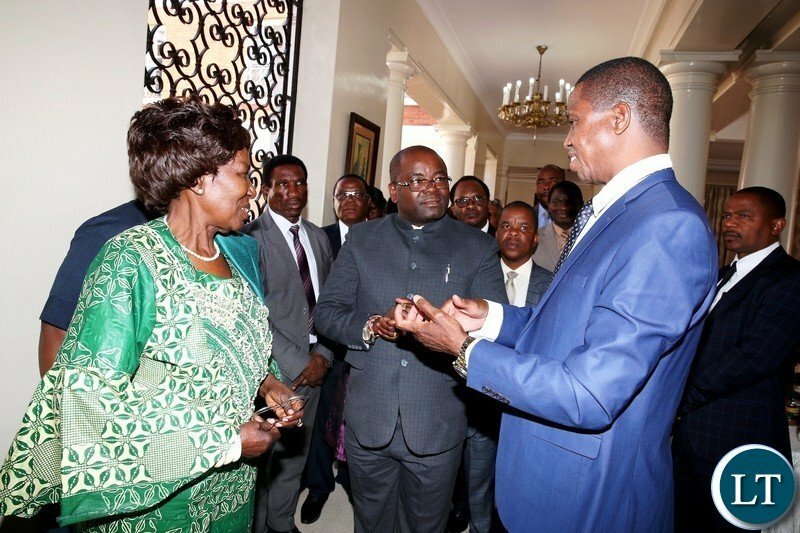 !SURELY CAN 30 NGWEE MAKE YOU FEEL BAD?MAWEEE…..NOWONDER YOUR UPND CANT WIN GENERAL ELECTIONS IN ZAMBIA! !Am sure even your Kainde shall have a press conference tomorrow to blame PF over this 30 ngwee….kkkkkkkkkkk…….UPND IS IN TOTAL MESS! !Believe you me,you sound and look very fo0lish in the eyes of majority Zambians!! !UPND BLAMED TOLL GATES,BUT NOW GOVNT HAS MADE K2.2 BILLION FROM THOSE TOLL GATES,SEE!!! Just let PF Govnt rule Zambia in peace! !This Govnt means well for mother Zambia-period! !Kainde followers should just control their bitterness!!! People in Africa are specifically kept ignorant so that they don’t question authorities or the status quo. Anyone who has earned and served money in their life knows that every penny counts. I feel sorry for you and others who have eyes but they can’t see. They have ears, but they cannot hear. The country is a real joke because of you. You helped to bring our country to its knees. The president has neither goals nor good ambitions for our country. Right now, we represent what is bad about Africans. You claim GRZ has collected K2.2 billion. To me what matters is how the money is used. Bragging, arrogance will take us nowhere my dear. Thank you for calling me foolish. If only you knew the real fool. Njimbu, why is your language filled with tribalist and bigoted thoughts? Please learn to exist with people from other other ethnic groups. Your thinking is not healthy. By the way, what does your Njimbu mean? Find out from one of the Zambian languages. This Congolese is as corrupt as they come…. @Njimbu do you know what is called ‘economies of scale’ or simply put the ‘long tail principle’, or even simpler, check this out: 0.3 *15,000,000*30 i.e 30ng*15million people*30* days in only 1 month. Then think about borehole tax, tollgates, income tax, rent tax. car tax, Btw, try to import a used car for example. You will see how you will he hassled as though you killed someone. The country is simply a very bad joke. Bank interest rates and charges reflect the opinion of lenders. Blind support will lead you to hell. Call a spade a spade. Mention here why I should be proud of ECL and PF. Please give concrete examples and compare to normal countries in the neighborhood. People in Africa are specifically kept ignorant so that they don’t question authorities or the status quo. Anyone who has earned and served money in their life knows that every penny counts. I feel sorry for you and others who have eyes but they can’t see. They have ears, but they cannot hear. The country is a real joke because of you. You helped to bring our country to its knees. The president has neither goals nor good ambitions for our country. Right now, we represent what is bad about Africans. You claim GRZ has collected K2.2 billion. To me what matters is how the money is used. Bragging, arrogance will take us nowhere my dear. Thank you for calling me foolish. If only you knew the real f-o-o-l.
One thing I have realized on LT is that the only Country most participants (and I am avoiding calling anyone a cadre) have live in is Zambia. I have lived among the people we want to emulate. American, Britons etc. These people are very compliant when it comes to taxes. They Americans are more taxed than Zambians worse still as a foreigner living in Britain you are hit really hard. Even when you are a paid blogger please try to use your own. At the the minimum, do some research. You don’t tell lies. Do you live in the USA? Don’t tell lies. Do you live in the USA? Mmmmmm you , internet is almost free in Britain…. Where the governors have no vision the governed people suffer. This government is truly dead in the brain. We all buy units for data or voice calls. The use of Whatsapp to make calls is based on purchases made to the providers who have employed Zambians across this country. The government has not shown how when we buy for these services we are causing unemployment. This is dog pile and utter rubbish. It shows that Lungu had imbeciles for a cabinet..best for them to go out there and start eating garbage from dustbins instead of misleading the nation about Whatsapp. Ashamed to be a Zambian being ruled by brainless and clueless misfits in critical public offices. How about Zambian citizens slap PF govt with 30 million Kwacha an hour for all the corruption and cholera deaths? And your Zamtel had rotten services that’s why people moved to cell phones and internet phone calls. @Sick & tired.Look,we are about 15 million or less in Zambia and less than 1 million or so use smart phones or have access to internet.We have less than 7million Zambians with phones and majority of them (about 90% or so) use simple phones with no access to internet.Some of us have lived in developed countries where citizens pay taxes left,right and centre.BE REAL IN LIFE GUYS!! !CAN A 30 NGWEE BE A BIG DEAL SURE?plus dont cheat people here,we dont have a borehole tax in Zambia.You only pay k250 once for borehole experts from Govnt to guide you! !CHEAT BLIND FOLLOWERS CAMPED IN UPND and not us exposed Zambians!! !NO GOVNT WORLD OVER CAN DO MINUS TAXES!!! Yeah, that was wrong statistics. Who furnished it, CSO or ZICTA? Ati build industries , where industries ? After putting Zambia in a debt to the tune of $17 billion , unemployment is too high and you are begging anyone for a bail out…..
After that debt one would expect Zambia to be riding a wave of highest employment and exports instead we are reduced to begging for a bailout….even a mental patient can not fail to build what you describe with the money that has been used or borrowed..
@ 23.1, So you agree with everything else except industries? Let’s be real guys and give credit where it is due. No government has delivered better than the PF. Nervous (Nevers) has realized this and he is envious, that is why he is ditching the UPND for a chance to out-do the PF. The majority of Zambians in rural Zambia are very happy. It is only those who circulate obscenities and hatred on internet who are worried about 30n and they are few compared to patriotic Zambians who appreciate the usefulness of taxes. This is just another tax by these blood suckers. They want to tax us because they don’t want us to enjoy free internet calls? If so, then start taxing us for the free air from God. We know you will attempt it soon, but we will show you the way out come 2021. And that tribal h.h, he is so backward that he predicts the government will print more money, never predicted this, what a retard!! This is just another tax by these blo..od suc..kers. They want to tax us because they don’t want us to enjoy free internet calls? If so, then start taxing us for the free air from God. We know you will attempt it soon, but we will show you the way out. come 2021. And that tri.bal h.h, he is so backward that he predicts the government will print more money, never predicted this, what a ret.ard!! LT is a PF-aligned site. They assume every govt critic is Tonga and a member of the UPND. You are waking up now ? It is laughing! With a laughable contagious disease Hagain! Hatribes Utd. Are you telling us that the 3 companies are making losses because of “semi” voip applications? Is it the desire of government for its citizens to get stuck on “traditional” way of making calls. No no this move is extremely retrogressive, but my grandma doesn’t know a damn thing about. Truth be told, no such research took place. If at all it did, it was a skewed research. A 0/100 = 0%. Awe sure….at opposing na nzelu mulibe sure! How does Zamtel make profits when you use VoIP applications? Govt has responsibility to protect our profits as well as jobs. If these bitter UPNDEAD cadres don’t care, let them sell Zamtel in 2089 when they form govt. SO those who make whatsapp calls on Zamtel lines they get bundles for free? Such dullness should be a crime mwe. I support effing pf but this is a bs move mwayitaya guys kukonda vokopela uganda.. My fellow Zambians lets condemn this move the same way we condemned that move for chinese cops till they did a reversal. Ba Cabinet you have lost the Pro-Poor PF ethos. You have become very greedy for money. We have repeatedly said that ECL and PF are very corrupt scums with no Vision. But foolish Zambians keep on voting for them. So, You will reap what You sow. How is tax on the Internet related to protecting Telecom jobs. 30 ngwee: How much is that? Balya bambi balimuchibe. Bbola naikosa. HOW CAN THEY CLAIM THAT 80% OF CITIZENS USE THESE MEANS OF COMMUNICATING. I DONT USE THESE MEANS SO WHY MUST IF BE SLAPPED WITH THIS FEE ? CAN THEY PROVE 80% OF RURAL POPULATION USE WHATSAPP, SKYPE FOR MAKING CALLS. CAN THEY PROVE THAT 80% OF URBAN POPULATION USE THESE MEANS. Sad read ,Sad developments to learn cabinet can think in such a petty way.its a pooping baby in a new napkin.if such a move will help protect such service providers, why all these migratory upgrades into 4,4.5g? Claim blindfold to say Zambia is equally moving with tech? Is this an indirect way to effect ‘hidden tax?’ I can’t just relate cabinet thinking.iam doubting if I have a focused think tank cabinet.### cabinet Rwanda is ideal cabinet.#cabinet Gaborone is way ahead## sad ba Lusaka. You just cant keep on tightening the belts of citizens! You are chocking them to death. Talk time is yacef. Cell phones are taxed, data bindles are taxed ….., phew! Open your eyes Mr. President. As Chair of cabinet you are being thrown into the furnace of fire and you can not see that someone is trying to make you unpopular? Get wise and do the right thing. Dont just accept these ideas and pass them without debate in parliament. The due process of passing bills is not being followed at all. Dont be the pawn being sacrificed in all these unpopular decisions. Think twice for a moment. I wish the honourable blokes in that Cabinet could work without waiting for directives from the President, and the President could work without giving directives. These are all adult men and women aren’t they? Unless you tell us that the picture above was taken from a kindergarten????? Oh, while at it, remove the sitting allowance and charge the blokes a sitting tax. Please do not compare kindergarteners to these guys, the kids in Kindergarten have more sense. Aya ma taxes, tilemba mutu mabuku twasu, 2021 sipatali iyoooo! Oh, of course not tribal h.h na upnd yake, they will both be dead before 2021. Tiza sakila benangu, olo Green party tinga yese. Just keep dancing dunnuna reverse badala…..lets roll , as one BR MUMBA will say…. What do you expect from dingbats who erect gates on any road and call it Toll road…when motorists pay roadtax!! Research has shown that in Zambia only 20% of the internet platform is used usefully, while sadly, 80% is use retrogressively. This means that internet technology is not benefitting us as expected. If there is anything that is doing a lot of damage to our society, it is internet technology. Any measures are welcome that will lessen the transmission of nonsense on internet, including prohibitive taxes. Come on Zambians.. This is ridiculous ,How can we as a country develop with such backward thinkers in parliament??? On the second thought, if government gets adamant, we will soon get over it. After all the majority of the so called Zambian “Citizens” cited in the article factually don’t use smart phones. Huge hit on businesses is Skype for business. Skype for Business is an instant messaging client used with Skype for Business Server or with Skype for Business Online. Skype for Business is enterprise software. A communication tool. … Zesco. If you don’t reprimand and castigate ZICTA for their oversight and careless handling of licenses, don’t blame technology, blame the players and the regulator. They need to be radical in their innovation and community education. … is no way to protect ZNBC or Zamtel because the Technology business is really revolutionary unless you want to discourage your effort to ensure your citizens never lack behind Pro-Tech countries like Kenya. Kindly benchmark from tech progressive countries. The last time previous Governments tried to protect ZAMTEL over the international get way, the country lagged behind 3 decades in technology as other countries embraced FIBER communication. They know we shall complain but still they will win elections! Thats why they can now do whatever they want! The opposition is now useless, they cant capitalise on all the mistakes PF is making. They dont appeal to the electrolate. The same whatsup taxes will be used to buy fire trucks! Lets vote wisely next time! Is this more money in the pocket? Ilila itambika pa zed . Ni dununa riverse chabe kkkkkkkk. Tiyeni nayo, dont even complain this is the one you wanted a vision less person full of corrupt mind. Does not know how to run the enconomy, yayaya twa sanswa mu zed. Even our Frnds in country do not face this kind of life hadship and vi high cost of living. maybe next time you’ll vote wisely. ……to protect ZNBC, i will tax YOUTUBE…??? One thing that is clear is that the PF Cabinet has lost the capcity to self criticize its desparate methods to raise money and spending it. These guys want to milk every little ngwee from our hard-earned money. They have taxed and almost milked us dry from taxes/levies ranging from public toilets usage at a fee to toll gates, tenant levy, borehole levy,landlord levy, paye, TV levy and hell knows what not. When is this gonna stop? One land and One nation is no longer our cry. Our cry is the plight of the over-taxed worker in Zambia who no longer can’t stand and sing of Zambia proud and free because the worker is no longer proud and free but spiteful and furious.